1 liter jug, screw cap closure (once again socially acceptable). This was a great wine for the price! Typical red zinfandel flavors and aromas. 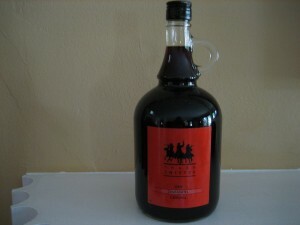 I loved the small jug packaging – it gave me flashbacks to the days when we would chug down cheap red wine that came in a gallon jug. 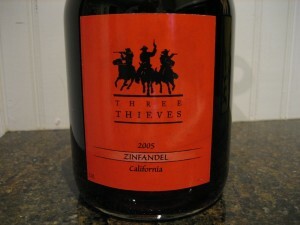 Unfortunately I bought this as a closeout and it is no longer produced according to the website for Three Thieves Winery. If you happen to run across some, I recommend snatching it up!